The Y.A. 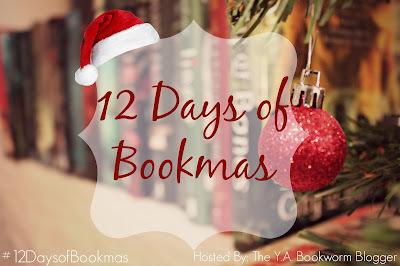 Bookworm Blogger: Bookmas Giveaway Winners ! Congratulations to the winners-- I've emailed all three of you, so be sure to get back to me within 48 hours! Once again, thank-you to everyone for your participation! If you didn't win this time of around, no worries, because a new giveaway will be starting on January 4th to celebrate The Y.A. Bookworm Blogger's 2nd Blogoversary! .......I'm going to go now and watch my copy of Mortal Instruments because I'm sick as a dog....sigh....*sniffle sniffle* Hopefully Jace will make me feel better!